113 Fishing Point Road, Fishing Point, NSW, 2283. 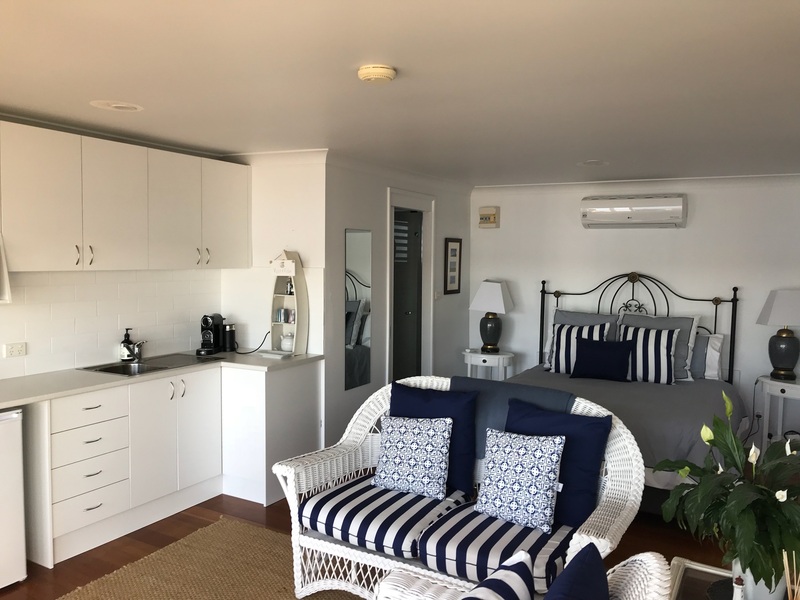 After having so many amazing clients stay with us here at out waterfront bed and breakfast Lake Macquarie, we decided it was time to do a little updating. Whilst Overnight Reflections was recently painted – the older style kitchenette didn’t match the new facelift. So we’ve just ripped out the old kitchenette and put a brand new one in. The photo below shows the aesthetically pleasing facilities. And doesn’t it look fantastic! Why not visit our contact us page to make your reservation. Copyright © Overnight Reflections 2018.